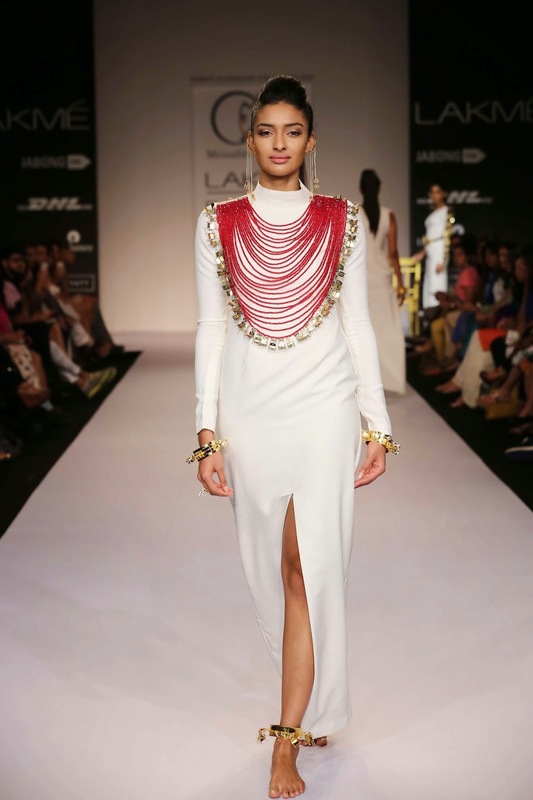 Inspired by the humble chair that is present in every home, Mrinalini Chandra’s Lakmé Fashion Week Summer/Resort 2014 collection called “Please Have a Seat” was a visually arresting line of jewellery. The elements of the collection were from the grand Singhansans of the past, the Peacock Throne, the comfortable rocking chair and the Palkis that carried noblemen in India. Cleverly crafting the accessories from customised gold alloy, recycled glass stones and semi-precious gems, like jade, onyx, coated pearls, etc. Mrinalini visualized an interesting movement to adorn the female form. Giant motifs emerged attached with rows of pearls for an imposing necklace, while corals edged the neckpieces. The chair design appeared in varying sizes to firmly re-enforce the theme. Geometric chair designs were turned into flat neck items and the zodiac wheel appeared as a large brooch. Chairs were interlinked for an arm ornament, a gold bolero, a graphic 3D rendition for necklaces, cummerbunds as well as ornaments for the hair. Mrinalini Chandra’s bridal jewellery too followed the chair design for not only the necklace, shoulder dusters and nose ring, but even the huge kaliras for each wrist. When the ramp lights came on, designer Sidharth Sinha revealed his beautiful collection under his label N & S Gaia featuring the amazing textiles of Meghalaya and crafts of Northeast India at Lakmé Fashion Week Summer/Resort 2014. Giving natural fibres his designer touches, Sidharth a graduate of NIFT Delhi along with his partner Nathaniel W Rynjah gave the N & S Gaia collection an awe inspiring appeal. Meghalaya Handlooms presented the GAIA label in fabulous silhouettes that blended the beauty and traditions of hand-woven fabrics like Dakwanda cotton with unconventional western weaves of beautiful flowers. As creations in shades of ecru, beige, green, brown, grey, indigo, red, maroon and yellow floated down the catwalk; the sharply tailored contemporary cuts with hints of boxy layers and a marked colonial vintage feel came to the forefront. The show opened with a white draped gown having detailing like an attached coin purse. Minis with cowl sleeves, zippered gown with blossoms on the hem, woven minis with pleating and feminine touches were eye-catching. Asymmetric hems achieved with the help of shawls as well as draping, knee length capris and mix of fabrics, prints and weaves were the highlight of the collection. Deconstruction was taken to a higher level for each entry turning the fabulous textiles into superbly crafted outfits. If the modern fashionista favours a look that will make an imaginative fashion statement then the N & S GAIA label will be the perfect answer. 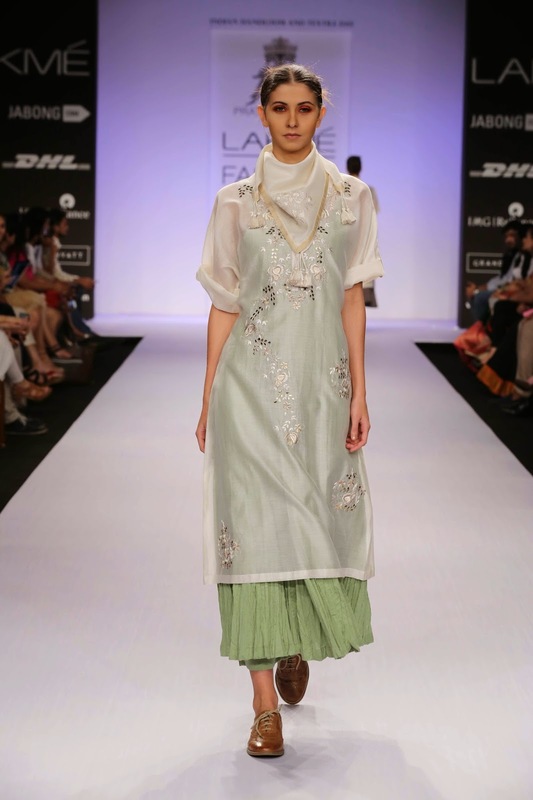 Lalit Sengar’s debut collection at Lakmé Fashion Week Summer/Resort 2014 was called “Sylvan Swain” that was inspired by the Art Nouveau era when ornamental style and architecture was prevalent. Combining form, texture, space and colour, the asymmetric lines were perfect with the right touches of style and creativity. When cutting edge construction and perfect tailoring met, then the result had to be great. Presenting a predominantly men’s wear collection with just three printed layered silk gowns for women, the construction was unconventional and Avant Garde in nature with Lalit allowing his creativity to push the envelope. 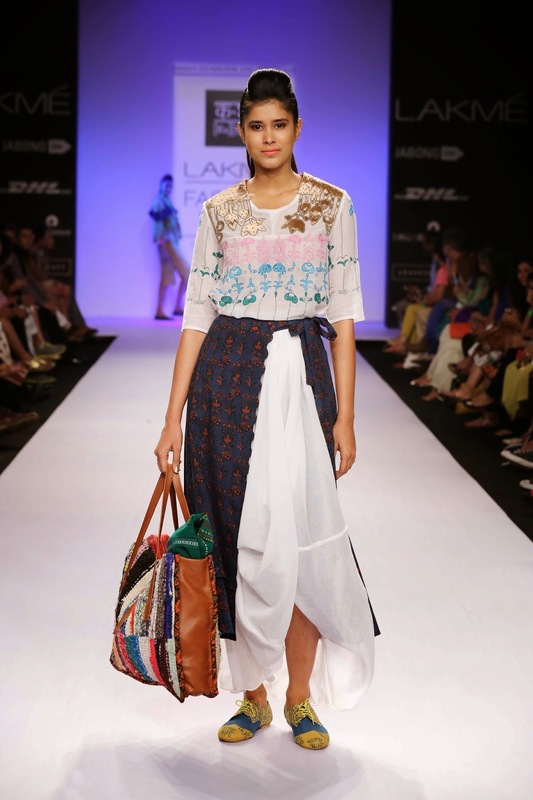 Giving an old world charm to the garments, Lalit used Indian textiles like cotton, Chanderi, linen and added his design sensibilities with block prints, hand embroidery and screen prints. Opting for a palette of pastels like beige, ecru, grey and white; the collection had a variety of flowing and constructed pieces. Solids and prints came in subtle unison to present an interesting result. 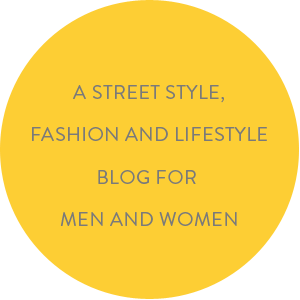 One-button sleeveless double breasted jacket with printed lining, voluminous pants, waistcoats with shoulder detailing, sloppy Tees and geometric patchwork added stylish touches to the ensembles. A printed giant flat collar jacket had solid sleeves, while the trouser silhouette was wide. 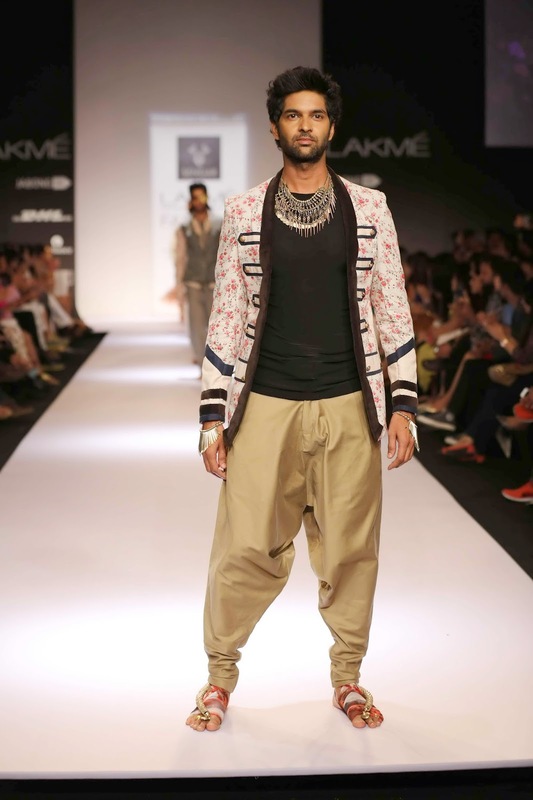 Ending the show was VJ and actor Purab Kohli who strutted down the ramp sporting a printed jacket with button detailing, worn with baggy salwar pants. 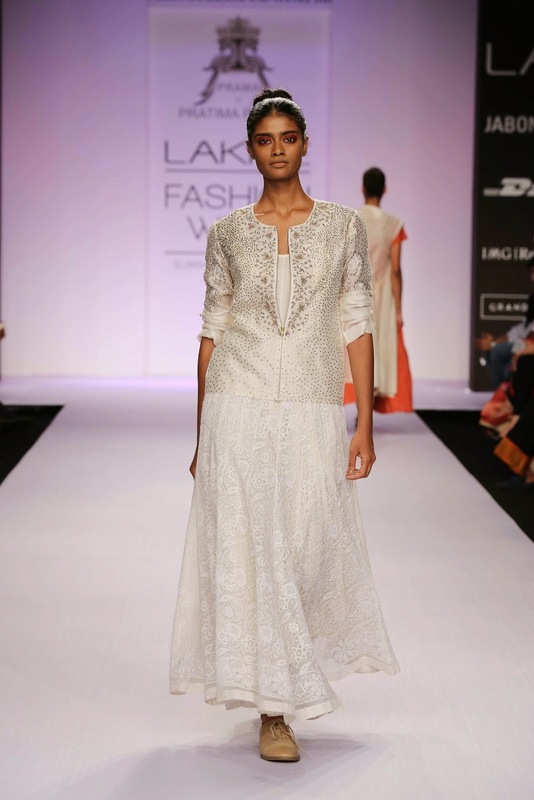 Putting an emphasis on multiple layers and drapes for separates with mix and match options, Lalit Sengar offered a timeless quality for his collection. 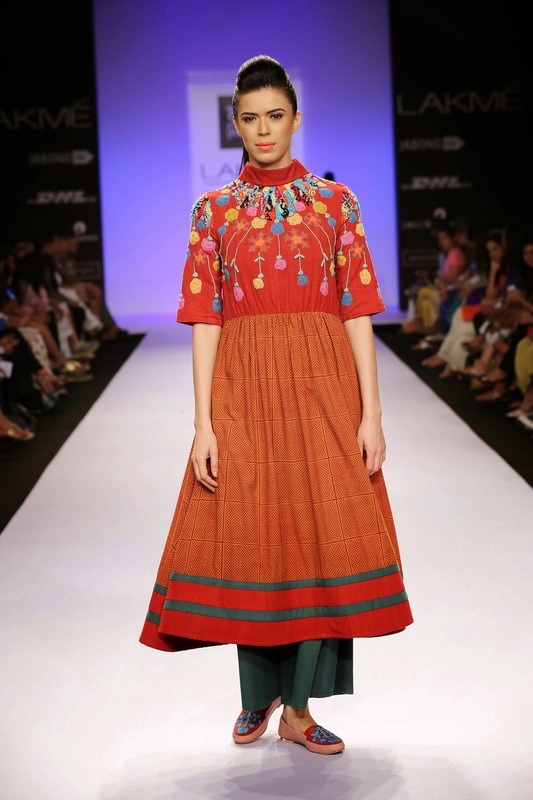 Mumbai, 14th March 2014: Focusing on the craft of Ajrakh, block printing and natural dyeing from Gujarat; Karishma Sahani Khan’s collection called “Kaam Kaaj” was an ode to tradition at Lakmé Fashion Week Summer/Resort 2014. Inspired by the attire of local vendors, workers and tailors; the collection had touches of gamchas, shirts, lehengas with utility pockets for inners and outers that revealed fashion from cultural India. Keeping the silhouettes feminine with an androgynous influence, the slightly flared waisted dresses had large embroidered patch pockets in pure white or navy that looked classy over white flowing long skirts. Relaxed shapes along with cool natural fabrics gave the collection a laid back image of summer dressing. Embroidery in multi-coloured flowers appeared at strategic points of the garments like the drop cut-out shoulders, collars, sleeves and skirts. Saris were teamed with cropped shirts, knotted front hem skirts were rustic in nature, printed slit flared dress, fake bolero and blouson with a sari were interesting options in the collection. With mix and match choices provided, there is a lot women can do if there is Karishma Sahani Khan’s “Kaam Kaaj” collection in their wardrobes. *** More coming soon on KA SHA. 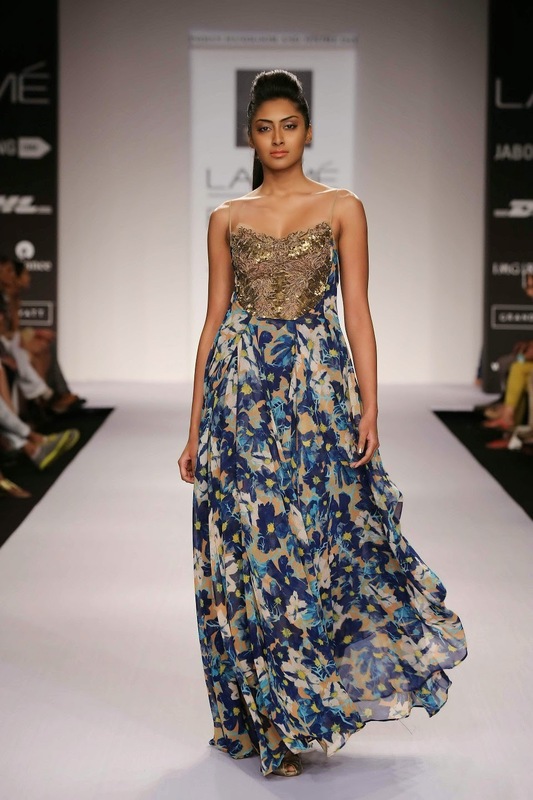 Mumbai, 14th March 2014: Pratima Pandey, a NIFT graduate has been making waves on the fashion scene for some years. 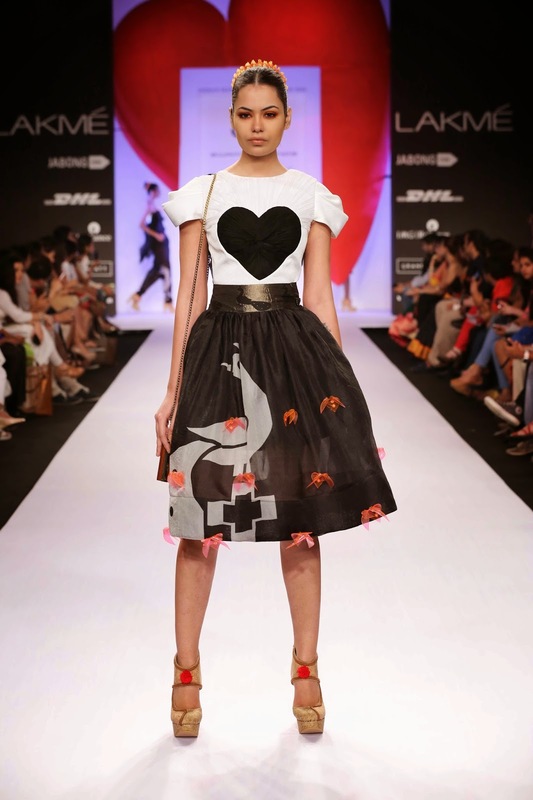 Her collection titled “Jack n Jill” was an ode to true love at Lakmé Fashion Week Summer/Resort 2014 under her label “Prama”. The very feminine line of garments in silk Chanderi and pure cotton were ideal for romantic summer evenings when lovers stroll down the garden path. It was a story of three layers – churidars or loose pants, crinkled cotton midis and white sheer tunics with tonal or multi-coloured embroidery. Layers of the luxurious fabric predominantly in shades of ecru with tiny hints of green, peach, orange, rust and flecked with gold Khari had a fusion look. The “A” line silhouette was the focal point of the collection while drapes for kurtas added a feminine touch. The intricate embroidery further highlighted the serene beauty of the ensembles as the models glided down the ramp. 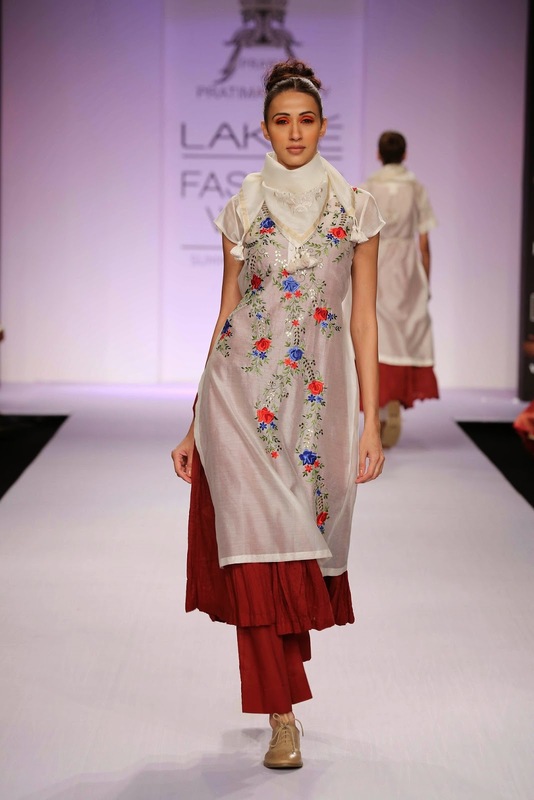 Detailing was restricted on the sheer Chanderi covers in the form of cowl necklines, epaulets, appliqués, churi sleeves, empire line shapes; asymmetric openings while most the garments were topped with refreshing off-white scarves. For a great summer look Pratima Pandey’s “Jack n Jill” collection was a combination of style and feminine elegance, ideal for the trendy dresser. It was glamour from the elegant beautiful era of Hollywood’s 1950’s that inspired Swapnil Shinde to create his collection called “An Affair to Remember” for Lakmé Fashion Week Summer/Resort 2014. Working around a gentle soft colour palette of beige, egg shell, jet black, mustard, berry and slate blue, Swapnil wove a web of glitzy mystery for his signature bold silhouettes. Keeping the heart motif as his key elements, the elaborate ensembles with voluminous silhouettes and tiny cinched waists had that Swapnil Shinde stamp of stunning drama as the models glided down the catwalk. The fabric base was ethnic as Swapnil played with traditional Maharashtrian Paithani weave with its antique gold and orange borders by adding geometric peacock prints. The embellishments also followed the geometric story with unique glass, PVC, organza and glass nylon to include glitter on the creations. Giant multiple bows were the centre of attraction at the back, while solid colours like black, white, purple highlighted the Paithani weaves. Micro pleating was the perfect complement for the skirts accompanying peplum bustiers, white organza blouses and the dolman sleeve tops. Using Paithani borders for the skirts, Swapnil interspersed them with white to create an interesting palette. Skirts were mini, pencil or with drop waists while a pair of bubble shorts gave the traditional fabric a modern silhouette. The final gowns with ornate bodices moulded from Paithani fabric with sheer tiered skirts, black corset gown with rouched bodice and layered skirts were drama at its best.The specially designed footwear added to the ultra-stylish appeal of the collection. For the lady who wants to make a memorable entry it has to be Swapnil Shinde’s collection “An Affair to Remember” that will turn it into a reality.